They work very well and were a great buy. I bought 2 of the thicker mats for myself. I loved the color selection and quality so when I needed something for my dog, I bought 4 of the thinner mats. My older dog was having trouble navigating the slippery kitchen floor with his aging hips and these mats work perfectly. I also cut one in half to use when I take him to the Vet as their floors are slippery. Perfect mat for our studio. Sticky mat provides good grip for a solid base. Colors as pictured. Thickness and weight are just what we needed. We actually use these mats on the basketball court when we do yoga in the park. These mats have adequate cushion & durability. They are easy to clean and non slippery. I needed a thinner for balance positions but this works great for the whole class. It's sticky. The price is great and I received it much faster than anticipated. I purchased 12mats in the color chocolate. The color is so beautiful,the texture is not too rough which gives them a great feel. I am so glad that I found this company. The mats feel very durable and are easy to sanitize. I will most definitely be purchasing more. The mat is exactly what I expected. It is not slippery and provides the amount of cushioning I need. 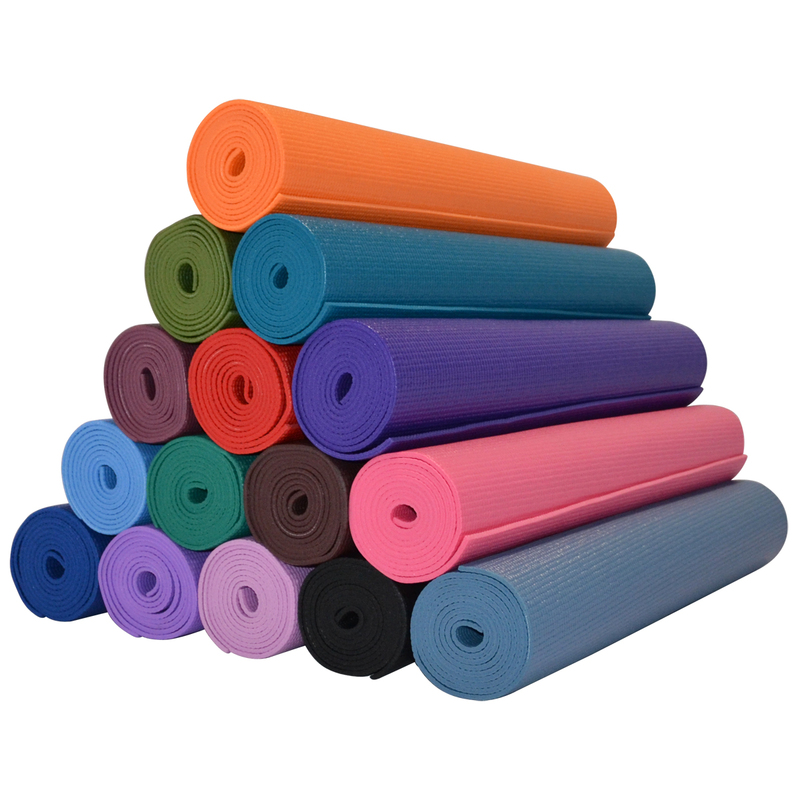 Our company purchased these for our new yoga room, we had several people from the class comment on what good quality they were. I heard that the mats were supportive, didn’t move around and were the perfect size. The yoga instructor asked where we got them. We are very happy with our purchase! I bought several of these mats as loaner mats for my clients and they also work great as a travel mat. What I loved most is that they did not have that plastic/chemical smell when I opened them. I own a studio and use these mats for those that come in without their own. They're great community mats. They usually last about a year then I replace them. They work great for the purposes that I use them.